Whenever enemies burning with Arcane Fire take damage from any source, Adagio regenerates 35% of that damage as energy. 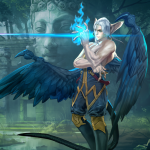 Adagio heals a target ally and splashes Arcane Fire onto nearby enemies, dealing damage every second. If Adagio targets himself, he'll also slow nearby enemies by 70% for 1.5 seconds. Temporarily increases target ally's basic attack power for 6 seconds. Deals 50% more damage to enemies burning with Arcane Fire. If Adagio targets himself, deals an additional 20% more damage. Adagio channels for 2 seconds then deals grievous damage to all enemies in a wide, rune-marked ring around him. Enemies burning with Arcane Fire are also stunned. 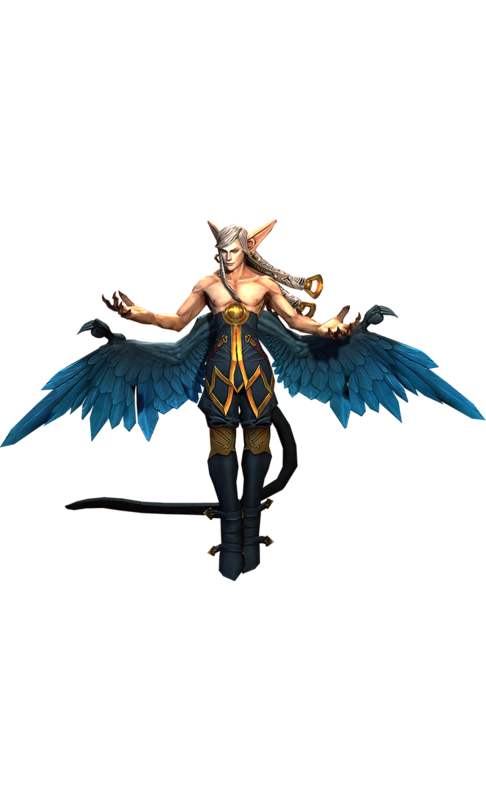 While channeling, Adagio temporarily has +50 Armor & Shield. Anytime we design a new skin, we look at how we can satisfy the aspirations and dreams the player has for the character they choose, but in a slightly different way. Adagio is an aristocratic, ancient dragon prince, with more than a hint of darkness. As the song says, ‘Please allow me to introduce myself; I’m a man of wealth and taste.’ I’ve always enjoyed this quality of his. I took that gentlemanly, yet darkly seductive, aspect one step further for Dark Parade Adagio: tactical intelligence with sophistication is in line with the dreams of the kind of person who would choose our awakened legend. I pictured myself as Ringo and thought, ‘What would Adagio look like if he came to hire me in a dark bar? What would Adagio look like as a night creature?’ When one of the ladies at work steepled her hands and said, ‘Oh yessss,’ I knew I was on the right track.